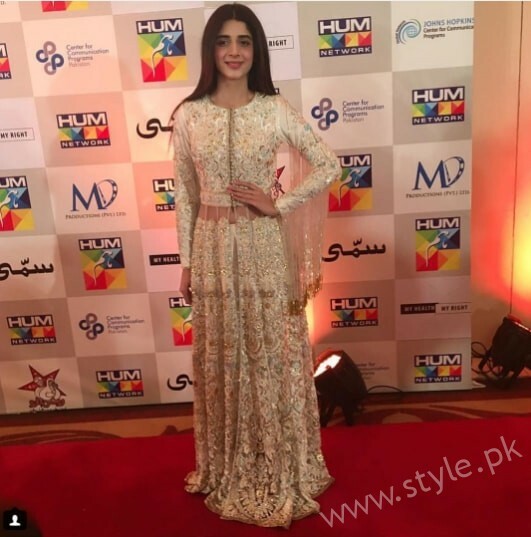 Mawra Hocane is renowned Pakistani actress, model and VJ. 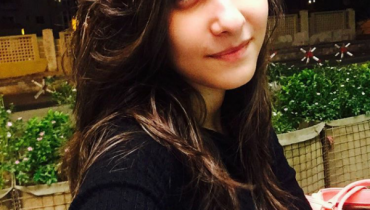 She was born on 28th September, 1992. 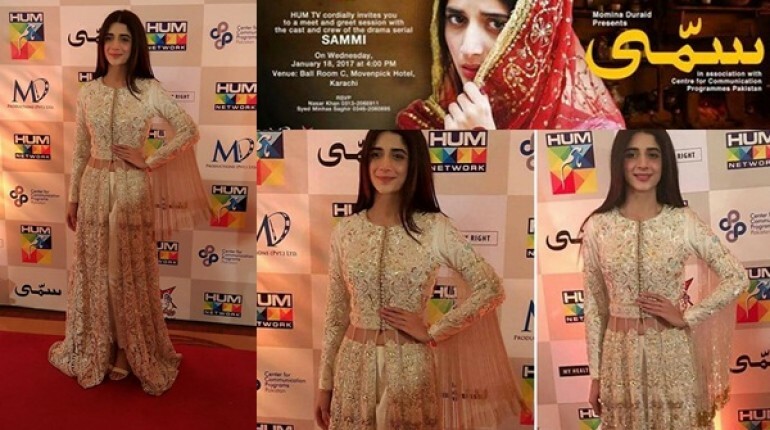 She started her career as a VJ and then stepped into acting. 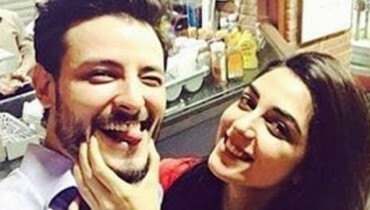 She has worked in hit Pakistani dramas. 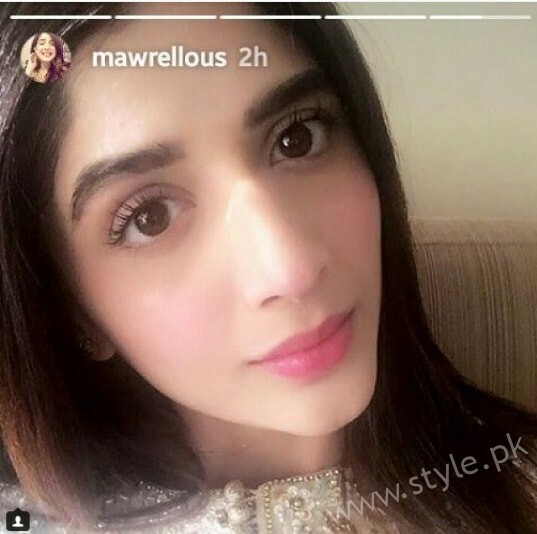 Her famous dramas are Maryam, Ahista Ahista, Bushra, Shareek e Hayat, Kitni Girhein Baki Hain, Sammi etc. 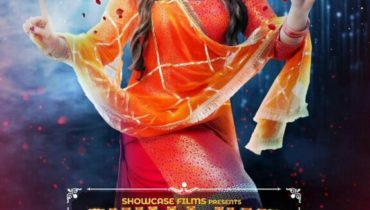 She has worked in a Bollywood movie Sanam Teri Kasam. 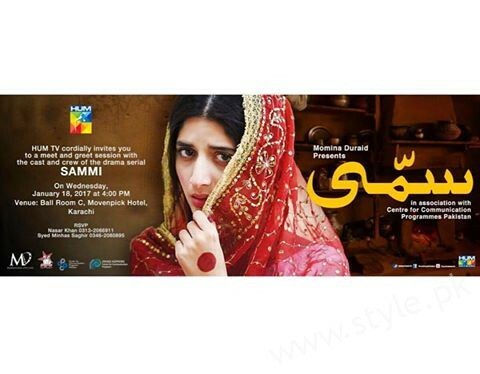 Sammi is an upcoming dramas of Mawra Hocane on HUM TV. 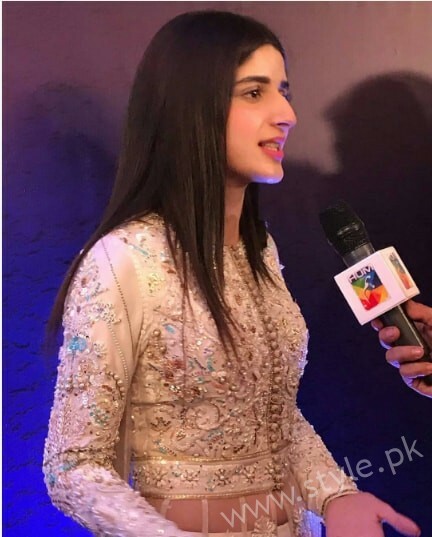 She is playing quite different role. 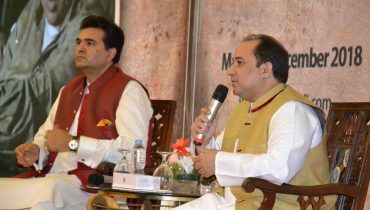 Last night, its press conference was held in Karachi. 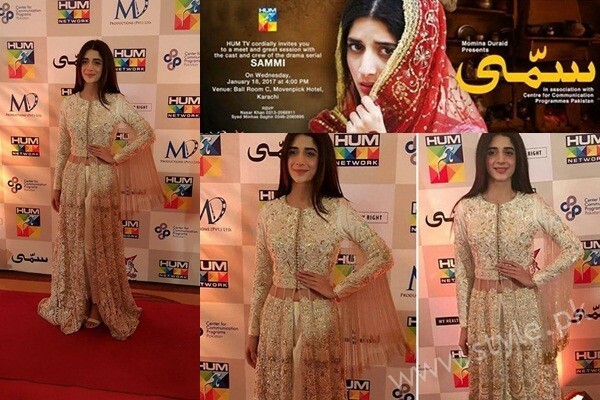 Here we have pictures of Mawra Hocane at Press Conference of Sammi. Have a look. 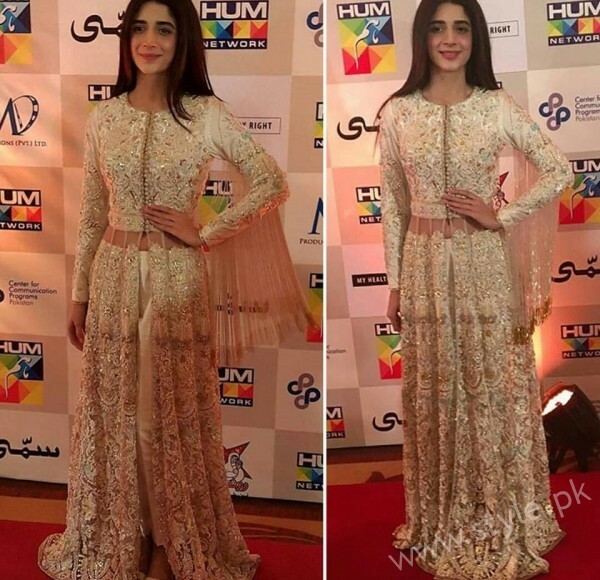 Mawra Hocane was wearing a beautiful dress by Nomi Ansari. 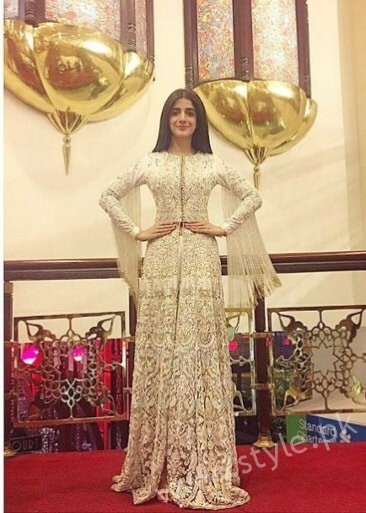 She was stunned in off white embroidered net gown with crop top. 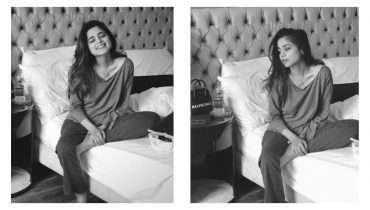 Her makeover was in dull tone. She carried open dead straight hairs gracefully.